What’s Wrong with the Ka-Bar Knife? NATO exercises put Russia on "full alert"
Man saved during Disaster thanks to his Knife! Do you need a gun in your Get Home Bag? Relocating to Belize? Why you don't want to do it. What are your thoughts on Belize? They speak English there and the land is still pretty cheap. And there are Mennonite farmers there. My Spanish, French and German are all equally bad, so English would be nice. In addition, I have a data business in the States and would be close enough to see clients if I absolutely had to. I would be honored to get your point of view. Also, I plan on buying your books. English and cheap land are just two factors, and they arent event the most important ones. Belize has the 5th worst homicide rate in the world and corruption levels are also very bad. That alone should tell you all you need to know about moving to Belize. I love your blog and videos. Thank you for all of your hard work and dedication. I appreciate your ideas of practical preparedness rather than wasting our time with fantasy zombie preparedness like so many other survival bloggers do. Thank you for you recent video entitled "3 steps to perfect pocket knife". I work in office where it would be inappropriate to wear a folding knife attached to your suit pants. So I appreciated your ideas about other viable options. I was wondering what your thoughts are on what type of knife is a good first knife for a boy. I have a six year old son and have been wondering when is a good time to get my son a knife, and what type of knife that should be. My son enjoys hiking, exploring in the woods, building forts, and playing out-doors. He is the oldest of my 4 children and is responsible for his age. What do you think is a good boy's age for a father to give a knife to his son? What type of knife would be best? I know that you have two young sons and I would appreciate any advice you might have on this matter. Do your boys have knives? If so, what kind? And when did you give it to them? How could you tell they were ready for a knife? What rules do you have with your boys? I appreciate any ideas you might be willing to share. 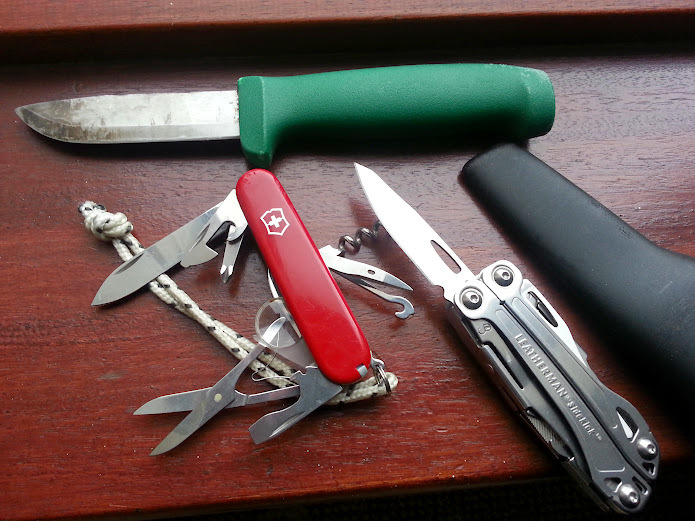 My son's Swiss Army Knife Explorer and Hultafors HeavyDuty Knife. The pictured Leatherman Sidekick would also make a first great knife/MT for a boy. A knife is obviously an important tool and it sure is a big deal for a boy (probably a girl too, lets not leave the ladies out!). Your first knife, your first gun, its not just a gift, it’s a rite of passage. It’s a grownup, maybe your parent or grandparents, recognizing you’re responsible enough to handle such responsibility. When I was a kid I loved the idea of having a knife. I managed to get hold of various tiny pocket knives but I got my very own proper fixed blade knife for my tenth birthday. It was one of those cheap hollow handle “survival” models, made in China. I still have that knife. I gave my oldest son (eight at the time) and my nephew (nine) their first pocket knives during one summer holiday. This worked out well because I had more time to spend with both of them and teach them how to use their knives. The knife isn’t supposed to be just a normal gift. It should go along with proper instruction on how to use it and care for it. Even if a lot of the advice may fall on ears too young to understand, you should still explain everything as well as possible. Safe handling of the knife is of course important. In my case, I bought my son and my nephew a Victorinox Explorer. These aren’t cheap knives, but I loved the idea of both having that bond, the same knife model, given the same day, and the look on their faces was priceless! 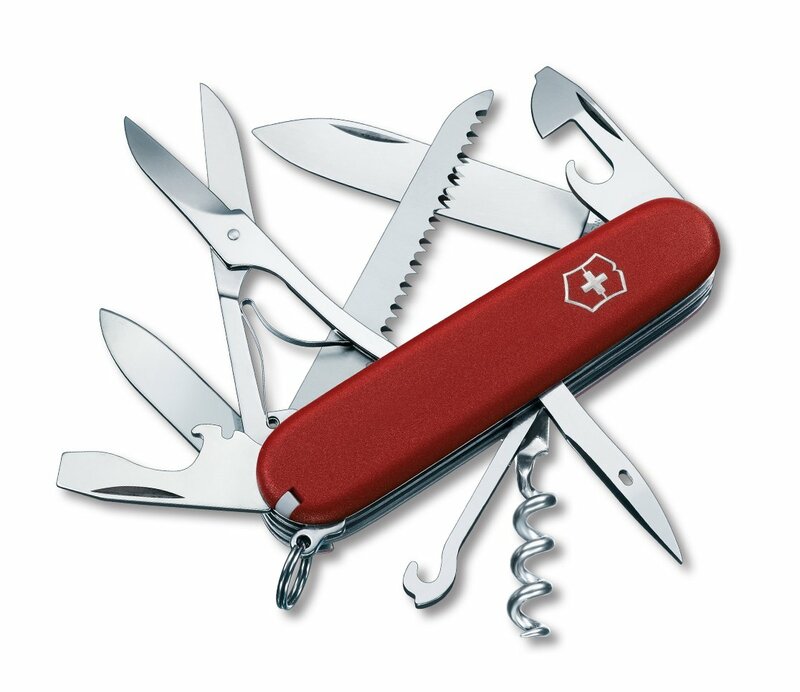 A Swiss Army Knife makes a great first knife to learn the basics. Given how famous they are there’s a good chance that a kid has already seen and wanted one for some time. It comes with a number of other tools as well and kids just love that. A couple years ago, I got my son his first fixed blade knife, a Hultafors Heavy Duty. This is a tough knife, made in Sweden. It's twice the thickness of most Mora knives. The carbon steel blade rusts and stains easily but it’s a solid blade to learn the basics of handling a real knife and its strong enough to prepare wood to start a fire with it. As for the age, it really depends. Eight to ten sounds about right depending on the level of maturity. I would try not to rush it. We sometimes have a hard time being impartial when it comes to our own kids and tend to overestimate how mature they are. Its better to take it easy and make sure they can handle the responsibility. Start by teaching them safe knife handling first. Once you give them the new knife, have them use it under your supervision at first until you notice they are using it safely as well. 1)Be careful with your knife at all times. Keep a firm grip and find a safe place to use your knife. Put it away if others are close to you, especially children. 2)Always cut away from any and all body parts. If your knife slips, what will it end up going against? 3) A knife is a tool, not a toy. Don’t pry, throw or use your knife for any other purpose than its intended use. If dropped, quickly step away. Don’t try to catch it. 4)Grab the sheath firmly when removing a knife from its sheath and keep your fingers out of the way when closing a folding knife. 5)After use, clean up your knife, keep it sharp and store it in a safe place. Yes, a boy can and probably will get cut. We’ve all got cut at some point, but chances are far less with proper instruction so relax and enjoy the treasured experience! If the world does fall into a global, end of the world or 3rd world version of itself, this is how it will all look like. Thanks to J. Robert for sending me this video. 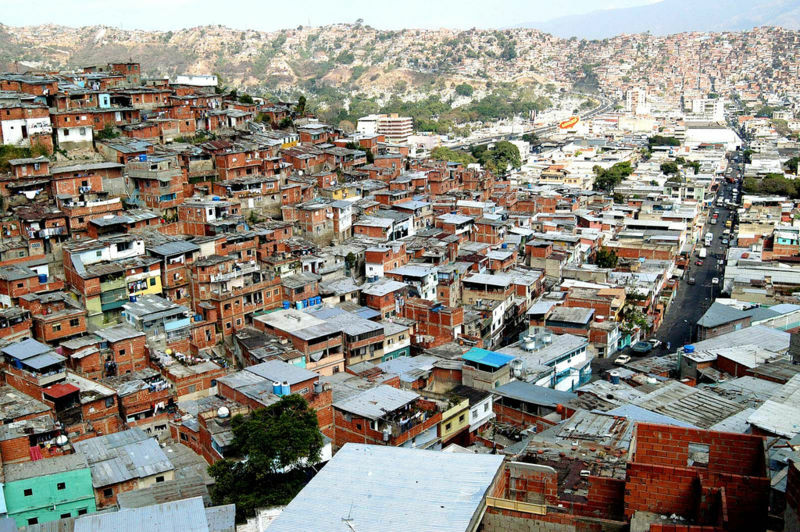 It illustrates very well the problem people face in Venezuela on daily basis. It’s amazing how simple things such as going to a store and buying anything you need, when you want and as much as you can afford are taken for granted. Also, this is just the tip of the iceberg. Freedom of expression has been suppressed in Venezuela, political adversaries killed or locked behind bars and people not only have to live with the worst inflation on the planet, they also have to deal with terrible crime. Murder and assassinations are just facts of daily life in Venezuela. A little tip: Notice how important it is to socialize. Word of mouth while waiting in line is one of the best ways of gathering information regarding current events, leads on where to find different types of food or other products, etc. Tip 2: Have food, lots of food. 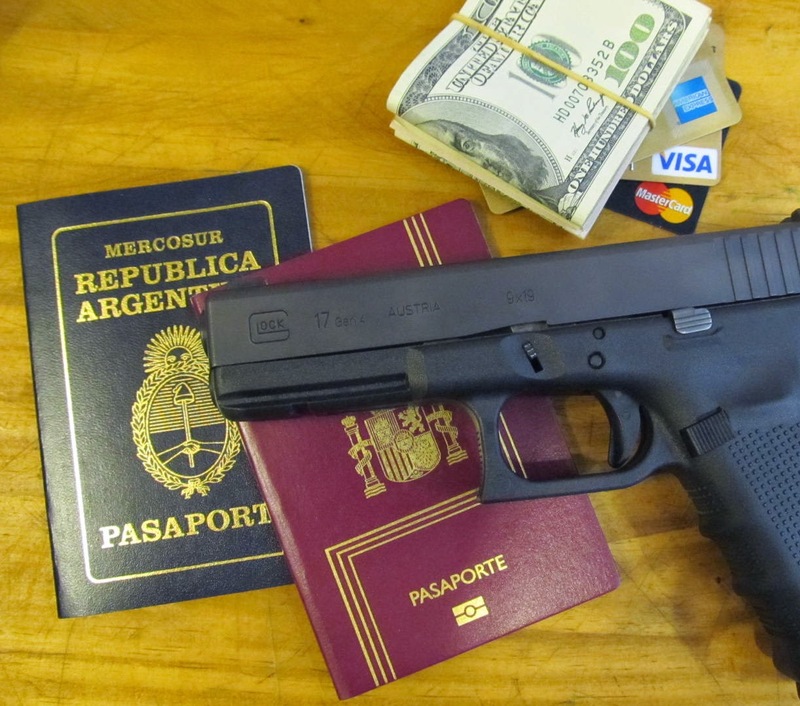 Tip 3: Get the hell out of your country before it turns into Venzuela! Looking at the latest posts on the realistic SHTF scenarios I had a question about one of the recommendations. I currently have a small tri-fuel 2kw generator and am looking for some solar back up. I don't need to power the whole house, maybe a small appliance (fridge/freezer? )or so. My problem is I am technically challenged and assembling something myself is pretty much a nonstarter. I also want something my family could handle should I not be available. I have seen/priced the goal zero stuff and while pretty slick, seems VERY overpriced. I don't know if you have any ideas on this. I need portable plug/play type thing that I could conversely use for camping and in emergencies. I know occasionally you have stuff you link to that you vouch for. I currently have a very small pocket solar charger that works for my phone only but am looking for something more substantial." Goal Zero is indeed good quality but most people do tend to agree its overpriced. After reading some reviews it does seem though that in the solar department, in general you tend to get what you pay for. Now, “solar generators”, lets keep it honest they are hardly as effective or as powerful as advertised. If you need 2000Kw a 2000kw solar “generator” will not do. Assume the worse (cloudy, direction) and expect only half as much power so as to not be disappointed. For an all-in-one setup, the Wagan EL2546 Solar e Cube 1500 seems to be a possible option although its still pretty expensive and again, I’d take the specs with a grain salt. You would need a very efficient fridge so as to run it here, although small tools, tv and such should work well enough based on the reviews. The RENOGY Solar Panel Starter Kit 400W has good reviews, its better priced, but it requires some putting together. I would forget about running a refrigerator with it. Its more for running and charging laptops and other smaller electronics. My advice for buying from Amazon is the following. First, check the stars. If it has over a dozen stars or so and it ranks, 5, 4.5 or even down to 4, I take a close look. If its 4 stars I feel better if it has closer to 100 reviews rather than 10. Then, I check the one star reviews. If they aren’t very relevant or don’t make much sense, then I read a bit more about it, read some of the better reviews. Finally, and this is very important, I check who is selling, who is shipping and what kind of warranty I’m getting. Ideally, the product will be sold and shipped by Amazon. At the very least I want Amazon fulfilling the order. This usually means that the shipping service will be better and returns will be easier to handle as well. Usually you can just print a code that is attached to the package and dropped somewhere nearby without paying a single cent. This makes returns easier and free. Today I was reading through a file of old letters that I had written, and came upon the attached. It was a response that I made in 2012 to another writer’s comment on the survivalblog.com website, which I seldom read anymore, and then only to check the links to articles on the economy that are posted there. I’ve edited it a little to pick up the ever-present mistakes. I thought that I would forward it to you, as it seems to be somewhat in line with your philosophy, and it also gives you a “plug.” I doubt that such a plug was well-received over there. If I were to write the same letter today, I would likely include a reference to the Balkan experiences of Selco at SHTFblog which have surfaced since then. By the way, thanks again for your book! (The Modern Survival Manual: Surviving the Economic Collapse) I’ve read it three times in the last few years and refer to it frequently. Perhaps you will find my perhaps overly philosophical letter interesting. Perhaps not. Letter re: Why I Hate Preppers, by Allen C.
I greatly enjoyed reading the letter forwarded by Allen C. It mirrored many of my own thoughts, mostly not vocalized, that I have had about other “preppers.” I do not like the generalization implied in the word, itself, for it establishes a bias either for or against a whole group of people who seem decidedly different. It brought to mind the much-repeated phrase among preppers: “like-minded individuals.” Now, having met face-to-face with a number of other people who are concerned about uncertain times and are preparing in one way or another for those eventualities, I found that huge differences exist in the ways of going about this task and the philosophies surrounding it. Thus, to put out an advertisement to join “like-minded individuals” in the “prepper community” is, in my view, about like making the same exhortation to a group of professional football fans on the assumption that they are “like minded,” when all they have done is to root for the same team that we do. On the subject of paranoia, Allen repeats the oft-used phrase: “I wouldn’t be so paranoid if everyone wasn’t out to get me.” This reminded me of a meeting I had in a public place with a few other local preppers whom I “met” on an online prepper network. These were supposedly like-minded individuals, who, during the course of the meeting appealed to those present to provide their addresses, phone numbers, and email addresses for the purpose of networking, “early warning,” passing the news, etc. Of course, I found this proposal astoundingly foolish, and said so. I was accused of being overly paranoid. Are there degrees of paranoia? Anyway, I refused to provide such information to complete strangers, and chalked down having talked myself into such a meeting of this kind to my own foolishness. There are few enough “like minded individuals” within a tightly knit family, or even in a pretty tight military unit, much less in the population at large. People should dispense with the notion that such a fantasy exists. This brought to mind the image of my teenaged grandson, who, while very bright and seemingly able to absorb any sort of material that he reads, or hears, or sees on TV, has a terrible habit, in my view, of saying “I know….” such-and-such. I have repeatedly reminded him that he does not “know” anything, nor does anyone else, unless he or she has actually done it or experienced it. Reading about, talking about, or listening to others who read about, talk about, or otherwise expound on any subject does not constitute a reason to say to oneself: “I know.” There is only one way to know, in my opinion at least, and that is to know by the experience of doing. One does not know how to fell a tree, slice it up with a chain saw, haul it, split it, and stack it, much less burn it, unless one has done it. And Allen’s comments further lead me into the frustration I have with preppers who are constantly writing on various blogs a presumption of what “will” happen under certain circumstances, such as a societal collapse. Zombie biker gangs will roam the countryside, stores will be out of food in hours, gasoline will be unattainable, .22 caliber cartridges will be like gold, etc. Some of these events might happen, of course, but for anyone to say beforehand, and in the absence of any evidence, whatsoever, that they “know” what will happen is ludicrous. No one actually knows what will happen until it happens. Detractors have said “history repeats itself,” so we can take from history that we actually do know what will happen in the future. But we really can’t. We surmise that there is a likelihood of a similar event happening again, human nature being a constant through time, but we still do not know what will happen in a given event that takes place in present or future times. In the popular literature, there is only one person whom I can say (because I haven’t read everything, to be sure) actually knows about what it’s like in an economic collapse. He is Fernando Aquirre, who, in his book about the collapse in Argentina (2001-present), relates what he actually saw and did in that country during that collapse. What we have in the American literature on the subject, as entertaining as it is to read, is fictional speculation. Some of it substitutes well for instruction and even education, and reflects what appears to be very good research, but it is still fiction, causing one to caution oneself, once again, that no one knows for sure what will happen. Examples of such works that I have read include the novels Patriots (Rawles), Lights Out (Crawford), One Second After (Forstechen), Holding Their Own (Joe Nobody series), Apocalypse Law (Grit), Feathers on the Wings of Hate (Grit), Enemies Domestic and Foreign (Bracken trilogy), The Pulse (S. Williams), The Rift (W. Williams), American Apocalypse (Nova), Lucifer’s Hammer, (Niven and Pournelle), Ashfall (Mullen), Molon Labe (B. T. Party), The Old Man and the Wasteland (Cole), World Made by Hand (Kunstler), The Third Revolution (Lewis), Half Past Midnight (Brackett) and Dark Grid (Waldron), among others. There are yet many that I haven’t read. Yes, I do like reading books, but seldom anymore read “survival fiction.” A few of the authors suggest what can happen or what might happen, but far too many of them purport to say what will happen, as do so many whom we see writing on Internet blogs. And yet, they cannot know. Who can know? Still, and in spite of our differences, we continue to prepare because it seems wise to do so, even though we are not really certain of anything in the future except more uncertainty. However, I do feel that preparation is more of a lifelong challenge than one that can be accomplished in even a few years. Some people have had a self-sufficiency mindset since childhood, and so “prepping” is second nature to them. As Allen (and my father) said, they don’t even call it that. It just seems for them to be a way of life, indistinguishable from other often-practiced habits. Further, Allen’s letter got me to thinking of a Persian proverb, which led me into thinking of the Dunning-Kruger effect. “He who knows not and knows not that he knows not is a fool – shun him. He who knows not and knows that he knows not is simple – teach him. He who knows and knows not that he knows is asleep – wake him. According to studies published in 1999 by Dunning and Kruger, there is a difference between what we know and what we think we know. People are notoriously bad at rating their own competence at a whole variety of tasks. Dunning and Kruger found that people who were not very good at a subject also tended to lack the skill to rate themselves at that subject. Such people often figured that the limited information they had about the subject was all there was to know, and that they were consequently more knowledgeable than the average. Hence we are skeptical when we read of so many “experts” on so many subjects on so many “survival” blogs. Take, for example, the case of a “rifleman” who espouses that it is futile to learn for himself or to teach others how to hit targets at 500 yards, arguing that his 200-yard carbine (e.g. AK/AR) will do all that needs doing. Well, the ignorance extant in such a statement is near to astounding. Assuming that a majority of our foes are not riflemen, but carbine men, would it not be wise to prepare to hit them outside of the maximum useful (lethal) range of their own weapons? But raising such a point in public (Internet) conversation is akin to banging one’s head repeatedly against a brick wall and asking for a great argument, considering all of the opposing views on that subject. Too difficult. Too far. Too risky. Why? There do seem to be a plethora of people who know not, and know not that they know not. Of course, they might well retort that I am one of them. But then, I was in the U.S. Marine Corps, wherein it was common not only to be stubborn to the point of hard-headedness, but also to take a young man “off the streets,” and to teach him — in order for him to attain the status of “Rifleman” — to repeatedly hit at 500 yards with either a rifle or a carbine. So I can say that I have at least a little experience with that skill, and think that it can be done, and done relatively easily and safely, with most people, in good weather, and with suitable firearms and optics. Yet even then, I stop short of saying that I know that it can be done with all people. Dunning and Kruger also found that people who really were quite knowledgeable about a subject tended to underestimate their ability, perhaps because they knew enough to be aware of how much more there was to know. Further, they refer to a “double curse” when interpreting their findings: People fail to grasp their own incompetence, precisely because they are so incompetent. And since, overcoming their incompetence would first require the ability to distinguish competence from incompetence, people get stuck in a vicious cycle. But one need not be obsessed with Dunning and Kruger. The same effect can be seen in other writings. Perhaps a few preppers will read this before posting their next expert “knowledge” to a web blog. Thanks J, that was an interesting read. Man, I can see why Rawles may not have liked your letter. You just skinned a few of his sacred cows. 22LR will not become the new currency after the end of the world and a bunch of survivalists won’t rule the postapocalyptic wasteland? That’s crazy talk! You touch upon several interesting topics. You’re right about “preppers” and “like-minded people”. What’s a prepper anyway? Is it someone interested in survival and preparedness? Then I guess I’m a prepper too. Is it someone that thinks the world is about to end and spends all day worrying about EMPs or peak oil or the global financial collapse? Then no, that’s not me. People interested in survival and preparedness are as like-minded as randomly picked people from across the planet, meaning they may have absolutely nothing in common. This is particularly true because survival and preparedness is so broad and it basically encompasses all aspects of life. You have preppers and survivalists that consider fitness essential, given how directly it impacts both their true survival rate and quality of life. On the other hand, you have preppers and survivalists that are morbidly obese, yet they are worried about biker raiders attacking the after the end of the world rather than their blood pressure and cholesterol. You have preppers and survivalists that are very pro-gun, but then there’s some that are radically anti-gun. Granted, in USA this is an extremely small minority but they do exist, and there’s a broad spectrum in between both extremes. The same goes for their political views, religion, even core moral elements. How many times have we read people say “all I need is a gun, anything else I can procure with it”. A murdering thief can be a “prepper” as well. He’s interested in survival, his approach is just different from mine. Is this individual a “like-minded” person? He sure is not. This is also the main reason why most “survival groups” and teams fail miserably even before SHTF and only work well in novels. People, as individuals, are complex and have their own agendas and ambitions. Only for a short time during extreme situations will you get them to work together for the common good. This is something important to keep in mind when talking to family, friends and neighbors if you ever have to organize people around you. Expect to be disappointed. A LOT. Trust me on this one. The kind of brother-like relationship survivalism authors casually write about in their novels, it takes years of slow-cooking friendship. Even then, true friends that you can count on during life and death situations, and at the same time, ones that is skilled enough or otherwise capable of helping, consider yourself lucky if you have one or two of those when you need him. I believe that you can learn without the need of empiric experience. I’m more of a rationalist. My own empirical knowledge will always be limited to myself, while I can rationalize and learn from countless other experiences. If I study something, it makes sense, its from a reliable source, then that can be valuable knowledge. If I pick up a cookbook I can learn how to make an apple pie, even if I never cooked one before. Sure, practice makes perfect but it’s a start. Learning other subjects from books isnt all that different. In my books I reflect both on personal empiric knowledge and rational conclusions based on research. My first book was more based on my experience with a specific scenario, the Argentine economic collapse. My second book was mostly based on research, I spent hundreds of hours looking into data, reports and arriving to certain conclusions. Granted, this is information I ended up putting into actual practice myself when I used that same info when bugged out of Argentina. I can confirm that it worked very well in my case. I think the important part is looking into the source and credibility of the data, and only then making up your mind if its useful or not. Lets take for example “.22 LR being used as currency after SHTF”. OK, that’s based on what exactly? When did it happen? In the case of Rawles 99% of his survival knowledge is based on his own fiction novel. Its not based on personal experience with dealing with the end of the world (because of course, it hasn’t happened yet), nor is it based on real-world 3rd party experience or historic events. I pay particular attention to that, real world events, learn from history. If someone has gone through a certain incident, a shooting, a dictatorial government, went bankrupt during the Greek crisis, I’m all ears. Now, if you want to tell me how you’re supposed to deal with the end of the world by setting up a ranch or go hiking to the nearest park and that know-how is based on watching the Walking Dead or your own work of fiction, then no offense but I really have better things to do with my time. The information you are incorporating, who is it coming from and based on what exactly? Is there an agenda I should be aware of? If I recommend you to move to Panama in preparation for the end of the world and I have a sponsor in my website selling Panama real estate or I recommend you to move to remote locations and I’m selling you just that, then I clearly have a financial interest in you making certain decisions. What’s exactly so great about moving to Panama, or some remote location far from everything a person realistically needs such as short commute times, jobs, safety, good schools, etc? Explain why. “Because of the hordes, the golden hordes that will pour out of the cities!” Really? Besides your own fiction novel, exactly when did this happen in real life? Real, professional research ironically shows the opposite. During tough times, both social and financial, people move to those pesky big cities looking for security and work. It happened during the industrial revolution, it happened during the great depression, it happened not that long ago in South Africa and its happening right now in Ukraine. Again, trying to learn from real events, there’s account of people leaving Donetsk and moving to western cities looking for living accommodations and work. A guy in a forum asked the Ukrainian posting this information why he didn’t go to live in the countryside instead. The Ukranian’s answer was logical enough, he needed both a place to live and work as well as security. He found those in the city of Kharkov, population 1.400.000. He rented a flat he could afford and was happy enough while getting back on his feet. Its in these examples where fantasy and unfounded nonsense crashes against reality. I noticed in your recent bug-out bag posting that the Ka-bar knife was missing. Any particular reason for its absence? You are making reference to this video that I posted showing a few survival knife options. The Ka-bar is the most famous combat utility knife in the world. In many ways, the Ka-bar is to the knife world what the Colt 1911 is to the gun world, meaning a time-proven classic. The Ka-bar has many attributes, its greatest achievement being an excellent blade design that has proven to be an all-around ideal combat utility blade shape. You can fight with the ka-bar, you can cut with it, pry open boxes, cut open MREs, smash with its pummel and pretty much use it for anything that a solider needs a knife for. The Ka-bars legendary reputation doesn’t hurt its appeal either. For many years, the Ka-bar has been and still is a beloved, trusty companion. Having said all this, the Ka-bar is not a perfect knife. The blade shape is fantastic by all accounts, and proof of this is that its by far the one that has inspired most other utility fighting blades, if not being downright copied. The stacked leather handle is also of sound design although the oval shape makes it a bit difficult to keep it from rotating in the hand when used forcefully in certain angles. Some Ka-Bar owners address this by sanding the leather handle and refinishing it to fit their specific hands better. The stacked leather material isn’t as bad as some seem to believe it to be. You’d think leather would just rot in front of your eyes in a matter of minutes accord to some accounts. In reality there are Ka-bars that have been well used for decades and are still very much serviceable. With minimum care, the handle in your ka-bar should outlast all of us. Having said that, synthetic materials are without a doubt stronger and more durable. The Ka-bars steel crossguard is functional and will keep your hand from slipping forward but it can be bent. People battoning with their Ka-Bars have noticed how the crossgaurd can bend when hit by accident. Maybe the most noticeable issue with the Ka-bar is its full length, narrow tang construction. The narrow tang is without a doubt is the Ka-bar’s weakest point. As great as the Ka-bar is, there’s simply no way in which the narrow tang construction can compare to a full tang knife. A full tang is a tang that shows all around the handle of the knife between two pieces of handle material. This will always be stronger, simply because it has considerably more steel and lacks stress points. As shown in the image above from KA-BARS website, the blade drops down to a narrow tang and does so at a 90 degree angle. This creates two clear stress points and when chopping , prying or batonning with it there’s a chance of breaking it at this point. The stacked leather handle provides basically no support, so any force applied to the handle goes directly to that narrow tang. Because of this, sometimes the handle in the Ka-Bar bends, which for all practical purposes is better than having it fail catastrophically. If you want a Ka-bar style knife you have some options that have a similar blade and a much stronger construction. The Ontario SP6 Spec Plus Fighting Knife still has a narrow tang, but it is thicker than the original ka-bar and the transition from blade to tang is radiused, avoiding the stress points of a 90 degree angle shoulders. This is still a narrow tang knife and not as robust as a full tang knife. The closest you can get to a full tang version of a Ka-bar combat utility knife is going for the Becker BK7. Unless you are honestly trying to destroy the knife, you can beat on the BK7, pry and chop with little risk of breaking it. The Ka-bar is still an overall great knife. Used responsibly and even giving it some honest hard work, for cutting and fighting as intended, the Ka-bar will last a lifetime. From a design point of view, there’s simply no way for a Ka-bar to take the extreme abuse a similar type of knife with a full tang can tolerate. This is an excerpt from my book, "Bugging Out and Relocating". 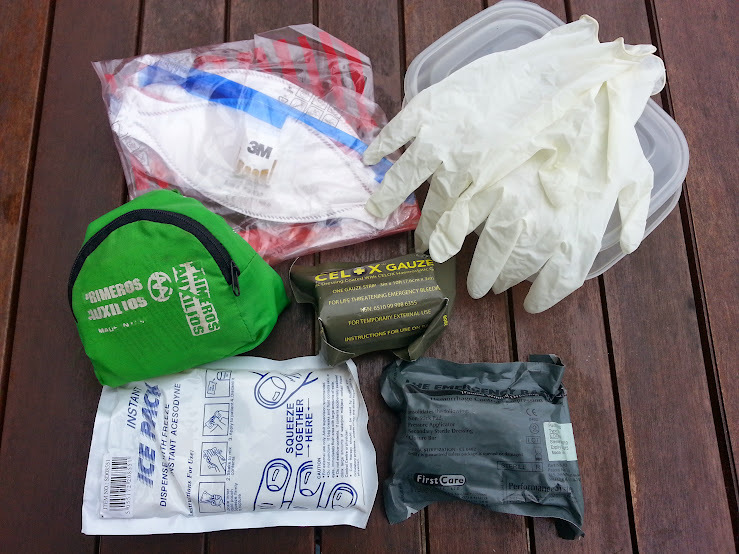 The "Bug Out Bag" Chapter will give you a good idea of how to put together a no-nonsene kit to get you from point A to B during a disaster or emergency, taking only the items you need. The Bug Out Bag (BOB) is one of the hottest, most often discussed topics in the preparedness world. In spite of how popular the topic is, BOB contents often being listed resemble camping backpacks rather than true Bug Out Bags. Focusing too much on weapons is another common mistake. It is common to read about people putting together kits where half the weight is dedicated to firearms and ammunition, as if bugging out inevitably leads to heated gunfights or full blown urban warfare. The facts show a very different reality, and while a firearm for defense is a good idea for personal protection, during most evacuations it is better to travel light and go as unnoticed as possible. Comfortable clothing, good shoes, a large bottle of water, a fat wad of cash and a credit card are often more useful than a battle rifle and ten loaded magazines during disasters. 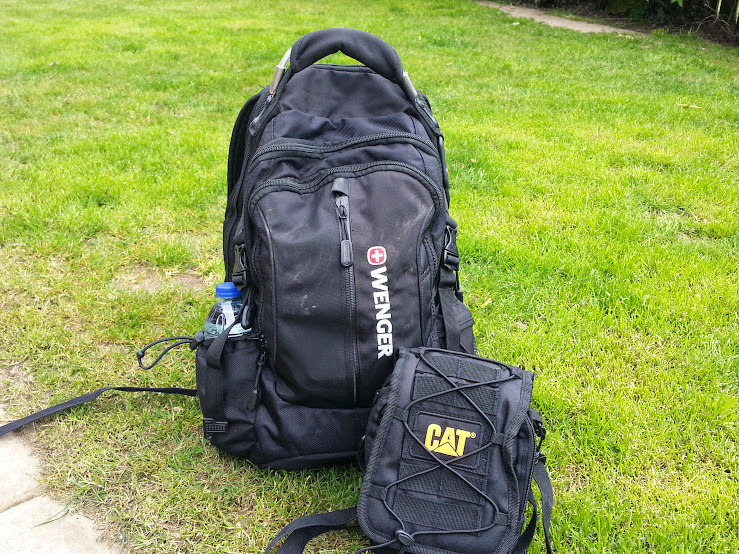 A Bug Out Bag is a kit purposefully designed to get you from point A to point B. Point A can be your home, your work place, or some other location you often find yourself at. If disaster strikes when you are at point A, point B could be either home, your Bug Out Location, a Rallying Point or some other destination where help is available, may that be safe shelter or a point for evacuating further away. Most people will find civilization within a few hours of walking at the most. Even for those living in the country, not many people are more than a day’s worth of walking to the closest town. Assuming the worst, a situation in which no other transportation is available, your Bug Out Bag will be used for walking from point A to point B. Because of this the main priority to keep in mind is that the Bug Out Bag must be lightweight and not a 60 pound monster of a bag. If your destination can be reached within two or three days of walking, then it is crucial to keep the Bug Out Bag as light as possible. Assuming a walking speed of 3 or 4 mph and walking for 12 hours each day, it is not unreasonable to expect to cover between 100 or 140 miles in three days if walking on roads and trails. This will of course depend on each person’s fitness level, if they are injured and the amount of weight carried. After ten hours of walking every ounce feels like ten pounds and every bit of extra weight holds the person back. When reaching the destination fast is the main priority weight must be limited to the essential items and nothing else. Tip: Even for trips that last several days, the priority will still be water. It is important to have a filter and careful planning so as to know where to find water along the road. In this case too, food rations weight must be kept to a minimum, choosing high nutritional value, compact and ready to eat meals. After reducing weight as much as possible, the next priority in a Bug Out Bag is water. Here again, we often see water missing from most Bug Out Bags. Instead we find empty bottles, filters and water purifying tablets but no actual water. Often, the explanation for this is that water is just too heavy and that the owner of such Bug Out Bag plans to find water along the way. This can be a big mistake. 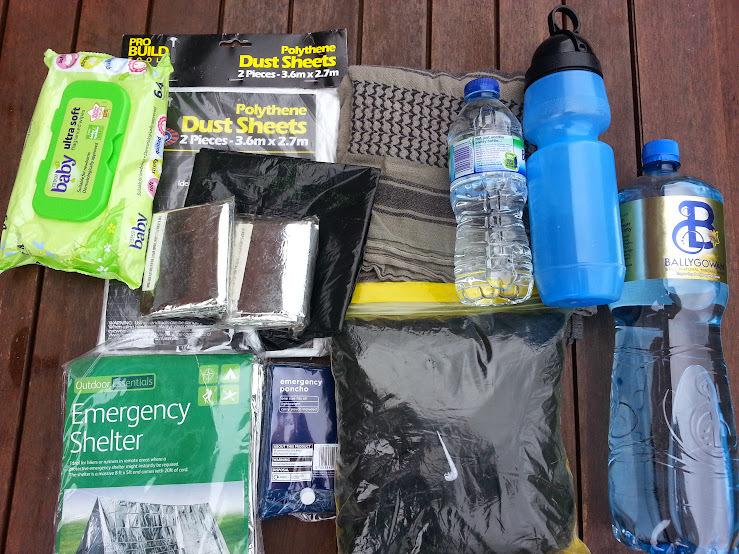 A filter or water purification tablet is important to have, but you need actual water in your bag. How much water you need will depend on weather conditions and how far you need to walk. If your destination can be reached within a day of walking, at the very least you will need a liter of water for mild weather conditions and if you need to walk all day long you may go through as much as five liters of water in one day. A stainless steel water bottle can be used to purify water by boiling it. 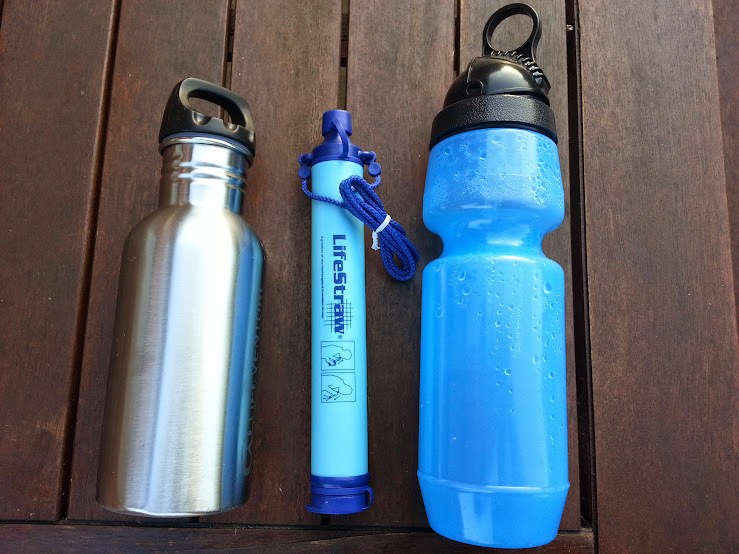 The LifeStraw and Berkey Sport are compact solutions for filtering water. The Berkey Sport bottle (available at directive21) has an internal filter and water is filtered as you sip through the straw. While you can keep walking for two or three days without food, the same isn’t true when it comes to water. Dehydration can leave you lying on the road unable to continue in a matter of hours in hot weather conditions. Quality water filters will allow you to safely hydrate using water you come across on the go. Safe water is the most important supply for a person walking long distances. After water, the next priority is clothing. Good athletic shoes or hiking boots are mandatory for walking several hours a day and still keeping your feet in good shape ready to walk again the next day. For those that often find themselves wearing dress shoes which are unsuited for walking long distances, a spare pair of shoes must be included in the Bug Out Bag or Emergency Kit kept in their vehicle or work place. A spare set of underwear, pants and jacket are also a good idea. During an emergency your clothes may get torn, wet, dirty or bloody and being able to change into dry clean clothes is not only practical, but a great morale booster as well. If your destination can be reached within three or four days, food should not be a priority and power bars along with some hard candy, nuts and foil packed food ready to eat such as tuna will do well enough. Military rations such as MREs (Meals Ready to Eat) and other emergency rations can be used too. Because MREs can be bulky, it is recommended to strip them and just pack the main courses for the Bug Out Bag. A mess kit and stove will just add unnecessary weight to the bag and is not needed unless your circumstances demand that you spend weeks on the road at a time. Emergency Blankets (sometimes called Space blankets) are light weight and while not ideal, they reflect heat and help keep you warm when resting. Some of them come in configurations similar to tube tents and bivvy bags. Even if not suited for long term use, these can provide shelter for a night or two on the road in mild climate conditions. Include at least one flashlight that runs on a single (sometimes one is all you have), commonly available battery, either AA or AAA. Choose a LED (light-emitting diode) with several brightness modes, at least a high and low mode to save battery power and extended runtime when possible. A strobe or S.O.S. mode would be of use for signaling. A headlamp allows you to use the light while leaving both hands free. Some models (Petzl, Energizer) have white and red LEDs. Red light is suited for night use at close range. It doesn’t ruin your natural night vision as much as white light nor is it as easy to detect from further away. This can be a valuable addition if remaining undetected is important due to safety reasons. A knife is another important part of any emergency kit. The survival knife has always been considered the quintessential survival tool. 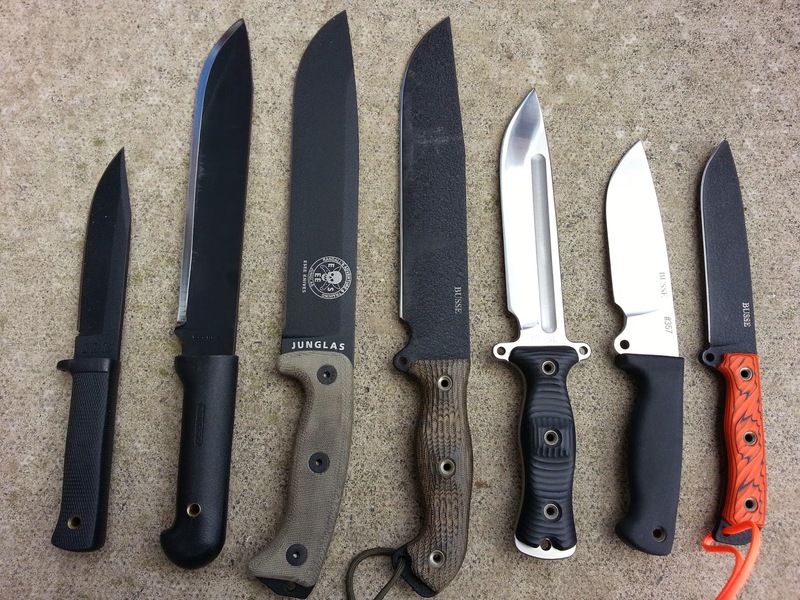 In spite of how often the topic of survival knives is discussed, misguided concepts are common in survival and disaster preparedness publications. Carving spoons, setting up traps and building fire bows are nice skills to have, but survival situations don’t always revolve around bushcraft. As a matter of fact, they rarely do, and during an emergency you are far more likely to need a tool that can chop through a 2X4, smash its way through dry walls or rubble and dig holes. The knife should be capable of prying open doors and windows after an earthquake or open a jammed car door after an accident. You need a tool that can be used as a chisel or hammer if needed and not break in the process. The knife may be needed for self-defense purposes too. Smaller knives are good for detail cutting, but more than that may be demanded of it during real emergencies. Depending on geometry and weight distribution, a knife may be capable of doing such things with a six inch blade, although seven to ten inches is preferable. Shorter blades will simply lack the leverage needed to perform most of these tasks. The survival knife should have a full tang or a thick narrow tang that extends to the full length of the handle. The blade should be at least 0.2 inches (about 5mm) thick. Rugged, synthetic handle materials are preferable. Steel quality is important as well, along with the correct heat treatment. Having said that, even expensive knives that cost hundreds of dollars and use premium steel can be great for cutting, but poor survival knives that can fail catastrophically (break in half)if used for prying, hammering or any other task that goes beyond cutting. A correctly heat treated 1055 carbon steel or 440A stainless steel knife can be a great survival knife if the design and blade geometry are sound. Carbon steel is not the only option. Outstanding knives can be made of stainless steel. In many ways it is preferable given the higher corrosion resistance. Although some expensive knives made of premium steels provide better performance in some cases, the difference can be negligible for most practical purposes when compared to correctly heat treat blades made of steel such as AUS-8 or even 440A. A multi-tool can be very handy in urban and wilderness survival situations. Leatherman makes some of the best models available. The Leatherman Wave and Charge are both highly recommended. More affordable than the Wave or Charge, the Leatherman Sidekick is also a good option. A solid survival fixed blade knife combined with a quality multi-tool that has a locking blade will take care of most situations where an edged tool is needed. While firearms are in no way the most important part of your Bug Out Bag, a handgun and some spare magazines can be a good addition. In most cases, it’s better to keep the weapon concealed. Any visible firearm is likely to attract the attention of not just the people around you but also first responders, police and military personnel. The firearm may be taken away from you or even worse, you might get shot because of it. A firearm that can be kept concealed will avoid such a problem. A reliable semiautomatic pistol is recommended. Both Glock 17 and Glock 19 would be good choices because they are reliable firearms, fire commonly available 9mm ammunition and spare parts and accessories are plentiful. A Glock or other auto pistol of similar quality and characteristics along with two spare magazines should provide enough protection for most bug out scenarios. When bugging out in a vehicle, more firearms can be carried and in this case it would be recommended to have a semiautomatic rifle or carbine. The shorter carbine configuration is more practical for moving around inside vehicles. While any quality centerfire carbine should do well enough, .30 caliber carbines such as the AK47 or FAL would provide better penetration and prove to be more effective against vehicles. 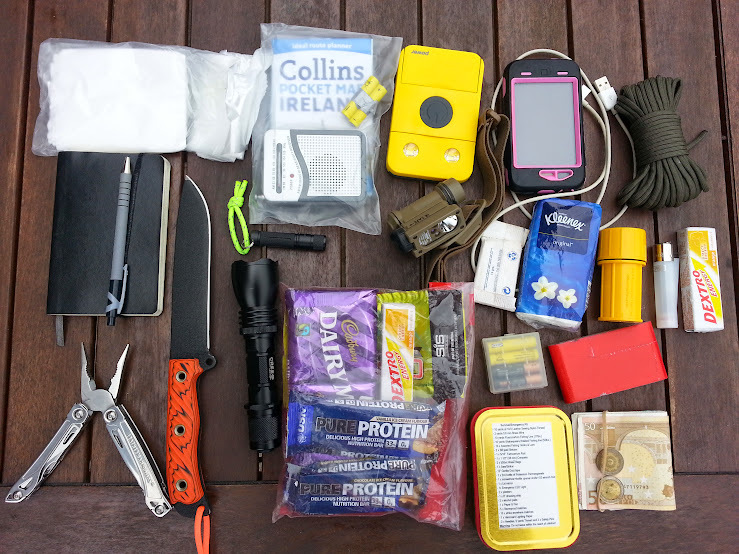 Here is a list of the contents of a basic Bug out Bag. This kit would work for most circumstances where the destination can be reached on foot within 24-48hs. 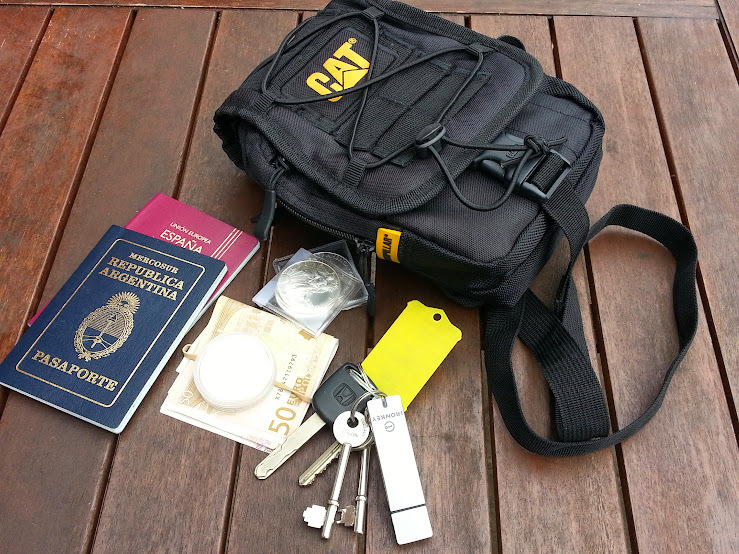 Longer distances, personal circumstances and extreme weather conditions will modify the kind of BOB kit you will need. Wet Wipes: These can be used for cleaning up when there are no showers and water is being rationed. When dirty after a few days on the road, covered in dirt, mud or blood after a disaster or simply for cleaning your hands and face, wet wipes are a valuable addition both for hygiene and morale. Cleaning up your neck, armpits and groin with wet wipes does not replace a proper bath, but it’s better than nothing. Tip: Baby Wipes will work in a pinch and are suited for delicate skin. Antibacterial Industrial Wipes are tougher and hold together better when used. Dust Sheets: They have several uses. One of the most valuable ones is using it for shelter building or for improvising a tarp when it rains so as to have a dry spot to rest. Emergency Blanket (two): Also known as space blankets, these sheets are made of heat-reflective material that reflects up to 90% of the heat back to the body. While not very strong and considered disposable, they are strong enough to be used more than once if handled with care. Besides their use as blankets to stay warm, they can be used in many applications where a tough, waterproof sheet of plastic is needed. Tip: With some patience and a sharp knife, you can cut a continuous spiral, from the edge of the blanket towards the center and end up with several yards of cordage. Large trash bag: Large trash bags have a number of uses. They can be used as improvised rain ponchos and to waterproof the Bug Out Bag when it rains or when crossing a river. Shemagh: The shemagh or large scarf can be used as a hat, a scarf to keep the neck warm or to cover the face to protect it from the cold, sand, wind or dust. It can be used to grab hot pots from the fire, to make a tourniquet, make an arm sling or to pre-filter water among many other uses. Small bottle of water: Water is one of the most important parts of your kit and every drop should be considered precious. A small bottle of water can be carried on the side of the backpack for quick access. Berkey Sport: The Berkey Sport bottle carries water and also has a black ceramic filter on the inside, making it ideal for filtering water from streams and ponds. If the water is cloudy it’s a good idea to pre-filter it with a coffee filter, scarf or other piece of cloth so as to avoid clogging and to extend the life of the filtering element. Big Water Bottle: A two liter bottle of water will be the main water container. Commercially available bottled water usually comes in bottles that are strong and lightweight. Emergency Shelter: These are tube-type tents made of the same mylar material used in space blankets. These tents don’t provide a lot of protection but they do keep rain away if set up properly and they do reflect heat back to you. The shelter should be reinforced with other materials whenever possible and a mattress of grass and soft leaves placed beneath it will improve insulation and preserve body heat. Tip: In urban settings, you can use cardboard, plastic bags and wrinkled-up paper so as to insulate yourself from the floor when resting. Emergency Poncho: The emergency poncho keeps you dry when it rains. It can also be used as an extra layer of clothing to stay warm if others are not available. Spare set of Clothes: Inside a ziplock bag to keep it dry we have socks, underwear, t-shirt and shorts. These don’t provide a lot of protection but they are something to change into if your clothes happen to be wet or damaged. Toilet Paper: Kept inside a ziplock bag so as to keep it dry. Wet TP is not usable. Roll of grocery bags: They can be used for transporting small items and keeping them dry, transporting water, collecting fruits or disposing of trash among many other uses. Map and FM Radio: A map is needed to know where you are going and how to get there when GPS and smart phones are not working. The radio is essential for gathering information. It should be small and work on a single, commonly available battery such as AA or AAA. Solar Powered power pack with LED light: The power bank can be used to charge your phone when there’s no electricity and the incorporated solar panel allows you to recharge the battery pack itself. The model in the picture is the Waka Waka Power which incorporates a bright LED lantern. Smartphone (with USB charging cable): The cellphone is one of the most important components of the Bug Out Bag. In this day and age, calling for help whenever possible is the best, most reasonable course of action. A smartphone will allow you to make calls as well as make use of Wi-Fi hotspots. If possible, the phone should be impact and water-proof. 550 Paracord: A hank of 550 paracord has many uses. Make sure you get mil-spec 550 paracord, made of nylon and with seven strands on the inside. These strands considerably multiply the amount of thinner cordage you have at your disposal for tasks such as repairing gear or making fishing lines or nets. Tip: 550 Paracord should not be used as rappelling rope. 550 pounds is considered to be the breaking point of the cord and the force applied to it can be ten times as much or more when rappelling. If you need stronger cord, look into Dyneema, Spectra and Technora, which are several times stronger than 550 paracord. Basic rappelling gear and proper training may be worth having as part of your emergency kit for those that live or work in high-rise buildings. Notebook and pen: It can be used for leaving notes, writing down important information, phone numbers, names, and addresses. In this notebook you should write down your own important information and contact numbers as backup, just in case your cell phone isn’t working. Weatherproof notebooks and pens are ideal for this type of use. 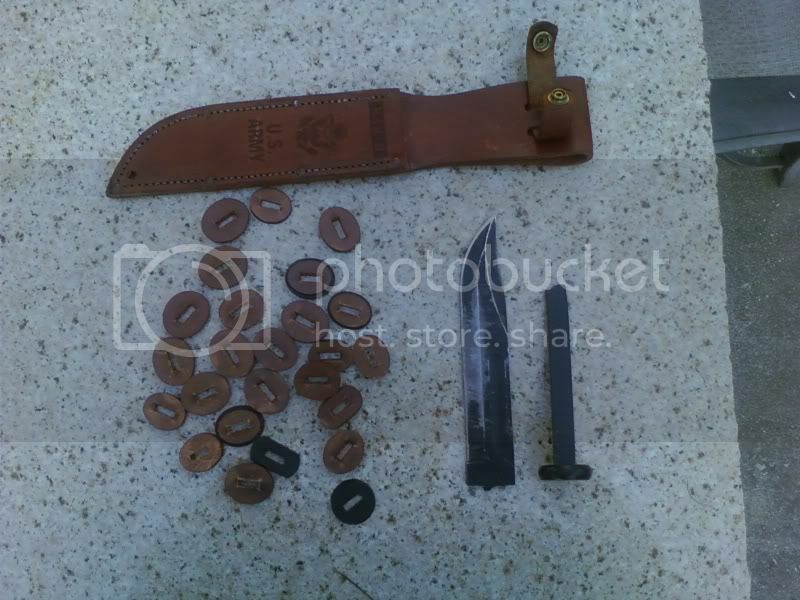 Knife: A survival knife is an important part of your Bug Out Bag. The survival knife should be at least six inches long and of solid construction. The knife pictured is a Busse Boss Jack, made of INFI steel with G10 handles. Small Flashlight: The small flashlight is used for general purpose tasks where more power isn’t needed. The Fenix E05 runs on a single AAA battery and provides 27 lumens for up to 2 hours and 50 minutes. Large Flashlight: A more powerful flashlight is needed for search and rescue, signaling and even defensive tactical applications. The MTE flashlight in the picture has a maximum output of 1000 lumens. It operates on one 18650 Li-ion battery or two CR123A Lithium batteries. Headlamp: If you can only have one flashlight, make it a headlamp. Headlamps are the most practical form of flashlights because they leave both hands free to do whatever needs to be done. Everything from preparing food during a blackout, setting up camp to spend the night or helping disaster victims after the sun goes down, the headlamp makes all that possible. The Streamlight Sidewinder Compact II has several output modes, white, blue, red and IR LEDs to choose from and it can run on multiple types of batteries using a single AA, AAA or CR123A lithium battery. Soap: A small bar of soap for washing wounds or simply cleaning up whenever possible. You can soap up your head too if shampoo isn’t available. A small bottle of alcohol-based hand sanitizer is worth including in the Bug Out Bag as well for disinfection purposes when there’s not much water to spare. Facial tissues: These are good for blowing your nose and cleaning up your hands and face in general. Box of matches: Stormproof matches kept in a waterproof container are one of the fastest ways of starting a fire. Make sure you have extra strikers inside the waterproof case. Butane Lighter: A lighter is another effective fire starting tool. Unlike matches, they are mechanically complex and therefore prone to failure. In spite of that, butane gas lighters are very reliable and hundreds of fires can be easily started with one so they do have a place in the Bug Out Bag. The lighter pictured is a refillable Clipper made of translucent plastic so as to see how much fuel it has left. Candy: Candy provides quick energy for the body when on the go. In the case of dextrose, it absorbs directly into the bloodstream during digestion. The dextrose tablets in the picture are orange flavored and have added vitamin C.
Multitool: A quality multitool of generous dimensions can be very useful for numerous tasks. Make sure the pliers are strong and capable of bending and cutting thick wire without breaking. The multitool pictured is the Leatherman Sidekick. Food: For most bug out scenarios that will only take a few days you don’t need large quantities of food. The food should be compact, have a long shelf life and require no cooking. Some energy and protein bars, chocolate, hydration drink powder and a pouch of tuna or two will do. MRE meals are a good option but they can be bulky. The flameless ration heaters allow you to enjoy a hot meal, a small luxury that can boost your morale during an emergency situation. Spare batteries: A case with four AAA batteries. These can be used on the radio and two of the flashlights. Flat roll of duct tape: Duct tape can be used for different kind of repairs. It can be used for shelter building when used along with the emergency blankets. Survival Kit Tin: Survival kit tins or Altoids kits contain essential survival gear and supplies. The one in the picture includes: nylon thread, brass wire, 2 x fishing lines, 10 x fishing hooks and lures, 2 x lead sinkers, ferrocerium rod, compass, 2x water bags, metal saw, duct tape, potassium permanganate vial, multitool, mirror, LED light, 2 x plasters, 2x alcohol pads, dressing strip, paper and pen, 5x stormproof matches, 10 x strike-anywhere matches, Hammarö Lighting Paper, 2 x needles, sewing thread and 2 x safety pins. Money: In the modern world, few things are as useful as a wad of cash. Remember to include a few coins for telephone booths, vending machines and transportation. 3M N95 Collapsible respirator: An often overlooked item. The respirator allows you to breathe when there are dust particles in the air. It can also be used during pandemic outbreaks. The collapsible models are more practical to carry around, they adapt well to most faces and the valve makes it more comfortable to use. Latex Gloves: Gloves should be used whenever helping victims so as to avoid contagious diseases. Even small amounts of blood and other bodily fluids can be dangerous. First Aid kit: The kit includes bandages, plasters, tape, gauze, aspirin, ibuprofen, diarrhea pills, caffeine pills, antiseptic cream, alcohol pads, amoxicillin antibiotic and super glue (used for closing small cuts). Celox Gauze: The hemostatic gauze is used to stop hemorrhaging when the bleeding cannot be controlled through direct or indirect pressure. Ice Pack: Instant ice packs are used to relieve pain and limit swelling. Emergency Bandage: The Emergency Bandage (also known as Israeli bandage) is used to stop bleeding from hemorrhagic wounds caused by traumatic injuries. The bandage has a built-in pressure bar that helps control bleeding and makes bandaging easier. These contents are kept in the small exterior compartment of the backpack for quick and easy access. The Celox gauze, latex gloves, Ice pack and Emergency bandage are kept in a plastic container so as to avoid damage and accidental activation of the Ice pack. The Documents Bag contains passports and other important papers. It also contains a spare set of keys (house and car) cash, precious metals and a USB Drive with important files. The Documents Bag or Very Important Papers Bag (VIP Bag) is where you keep your most important documentation such as passports, birth certificates, marriage certificates, death certificates, lease, titles and deeds. These will be kept in a small satchel made of tough, waterproof material. Unlike your BOB, the Documents Bag must be a small satchel. This makes it easy to keep it in a fireproof safe, as well as easier to grab and go in a hurry. A Documents Bag should be light and small, so that if you are wounded or helping a family member in need, you can still carry it with you during the evacuation. Important Documentation: All important papers, contracts and documents. If original documents can’t be kept here, such as driver’s license or credit cards which are actually used, quality copies of them should be made. USB Flash Drive: An encrypted Flash Drive that allows the creation of “vaults” in it with different passwords. One of them may contain important but non-essential information in case the person has to handle it over to rescue personnel or government officials for identification purposes. • Firearms Serial numbers, photos, recipes and invoice or ticket of sale. • Photos and video of your belongings, car and house for insurance claim purposes. • Photos and videos of your family, wedding, etc. Cash: Along with the documents and USB drive, any emergency cash you have should also be kept in this bag along with some of your precious metals. Gold would have a big advantage over silver regarding bulk and weight. Family Heirlooms: Although the Documents Bag is where important papers, files and money are kept, it also makes sense to keep in it some of the more important material belongings you’d wish to keep safe in case you are evacuating in a hurry. These should be compact and light so as to fit in the small satchel (heirloom jewelry, small trinkets and photos) and not defeat the purpose of the Documents Bag. there do not seem to be any installation specialists near me. doors from Lowes or Home Depot. I'm glad you liked my book. You’re right in being worried. The main exterior door is the entrance point in 80-90% of home invasions. Pretty often, the door is forced with a large screwdriver, prybar or simply kicked opened. A solid kick will send most doors flying open instantly. The door I had in Argentina was an armored door, custom made by a local company. It was made of soldered steel with a special locking system. In America you’ll probably have to pay a couple thousand dollars for something like that. Its extremely heavy as well and wouldn’t make sense to install something like that in a wooden frame house. If you already have or can get a solid door you might want to try installing a security upgrade kit such as EZ Armor. Its simple enough and not that expensive. For 58 bucks you can install it yourself with basic DIY. It reinforces with metal inserts the most fragile parts of the door and frame. Its usually the wooden frame the one that cracks when the door is kicked. While it sure isn’t a bomb proof steel door like the one I had, it should provide some extra peace of mind and a few more valuable minutes to get ready in case someone tries to break in. From a security point of view, its about being a harder target than your neighbor. A door that can’t be easily broken in, an alarm and motion sensor floodlights should go a long way into making you a far less desirable target. Rarely do both CNN and RT report the same story. But this time they are doing just that. Russia is in “Full Alert” according to CNN, while RT says Putin ordered “massive surprise drills”. According to Russia’s RT, “38,000 troops, 41 ships, 15 submarines, 110 jets and choppers are taking part in the drills which focus on boosting Russia’s military presence in the Arctic and test how quickly special operations forces can be moved along large distances.” This is being done just as NATO U.S. and several Eastern European NATO countries conduct a series of military exercises near Russia's border. 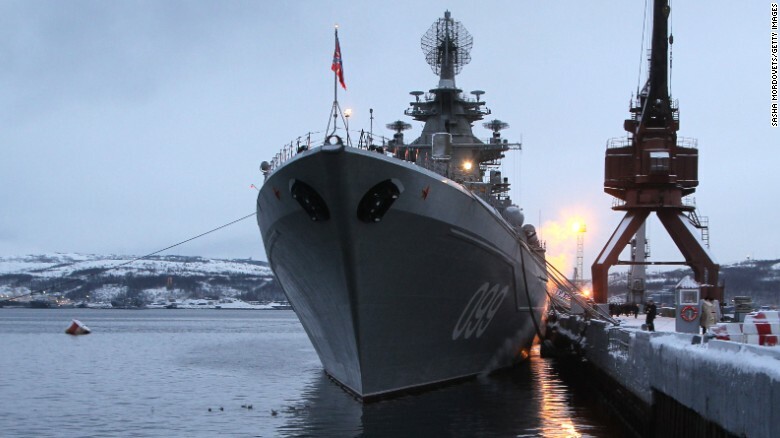 In response, Putin has ordered his Northern Fleet "to full alert in a snap combat readiness exercise" in the Arctic. I’m not sure if its such a good idea to play “chicken” with a guy like Putin. This is one of those situations that is probably nothing but sabre-rattling, but could also get very ugly, very fast. 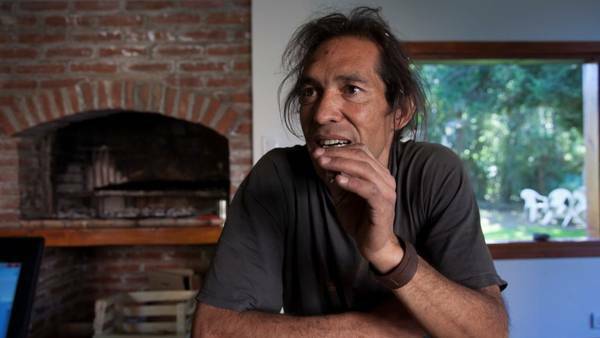 Argentine carpenter Ricardo Joung was hired by the climber’s club of Bariloche to build a mountain shelter in Cerro Plataforma. The wildfire affecting El Turbio site for several weeks now trapped him and Ricardo went missing for 20 days. He was presumed dead. A rockslide had also fallen on the construction site where he was working. There was little hope of finding him alive until a rescue helicopter found him and sent a team to his rescue. Quick thinking saved Mr. Joung's life as he signaled the chopper pilot using the blade of his knife. The pilot so the knife’s reflection and alerted the rescue personnel on the ground who later found Mr. Joung, dehydrated and with a wounded leg, but otherwise very much alive and in good health. Lesson of the day Folks! Black knives may look cool and make sense when taking down sentries in enemy territory, but for a survival knife, get a polished finished blade. Its too bad that most knives offered these days have a dark, textured finish. A shiny blade can be used for signaling as seen in this recent, real-world incident. It is also much easier to wipe clean. This is important when using the knife to prepare food so as to avoid food contamination, which happens very frequently, leading to food poisoning. This is why a knife intended to be used in the kitchen has a fine stain or mirror polish finish. A polished blade also offers less area for dirt and humidity to hold on to, rusting and pitting the blade. 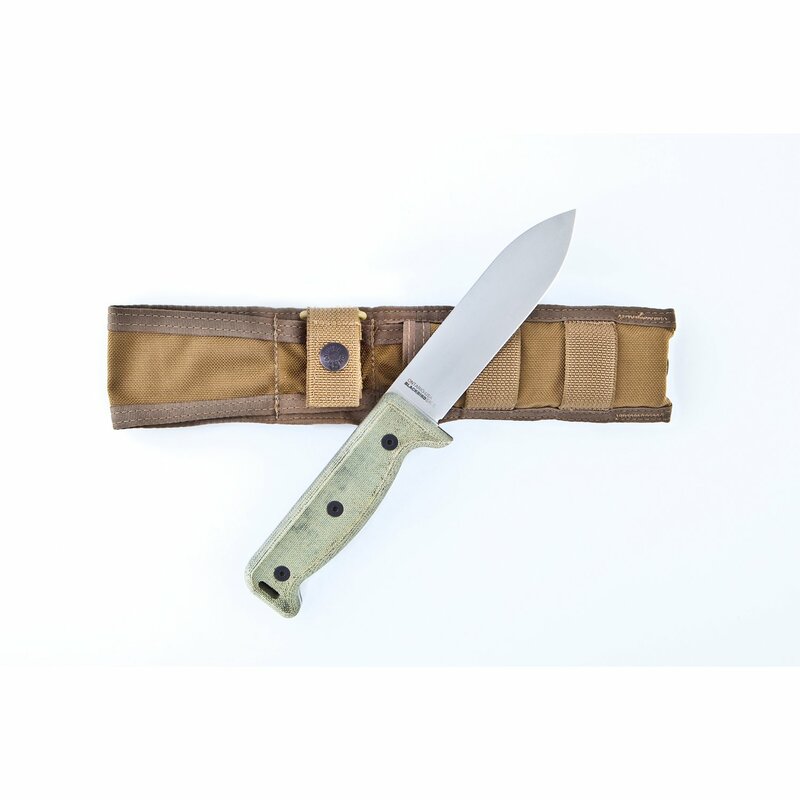 The Falkniven A1 is one of the best survival knives, highly coveted by military personnel that want the best. 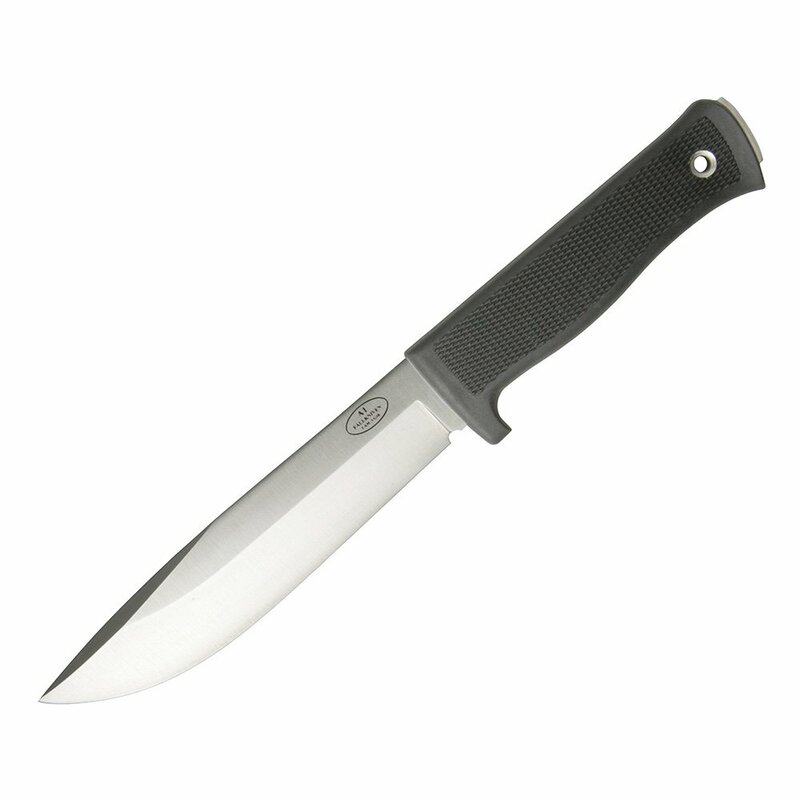 Ontario 7500 Blackbird SK-5, great 154 CM stainless steel, particularly well-suited for bushcraft. For a large survival knife, the classic Cold Steel Trailemaster is hard to beat and currently on sale at a 50% discount, making it a pretty good deal.